The 2019 Board of Directors was elected on November 28, 2018. The BID is excited to welcome Ceasar Barnales of Combined Properties and representing Granada Hills Town Center. Barbara Jean Addis and Bonnie Bursk were also re-elected for another two-year term. The BID is grateful for their untiring dedication to the community and the BID! The next Granada Hills BID Board of Directors meeting will be held on Wednesday, March 27, 2019 at 8:30 am at Granada Hills Woman’s Club located at 10666 White Oak Avenue. Meetings are open to the public and we encourage stakeholder participation. Hope to see you there! Annual Tree Trimming Has Begun! One of the many services the BID provides is annual tree trimming. 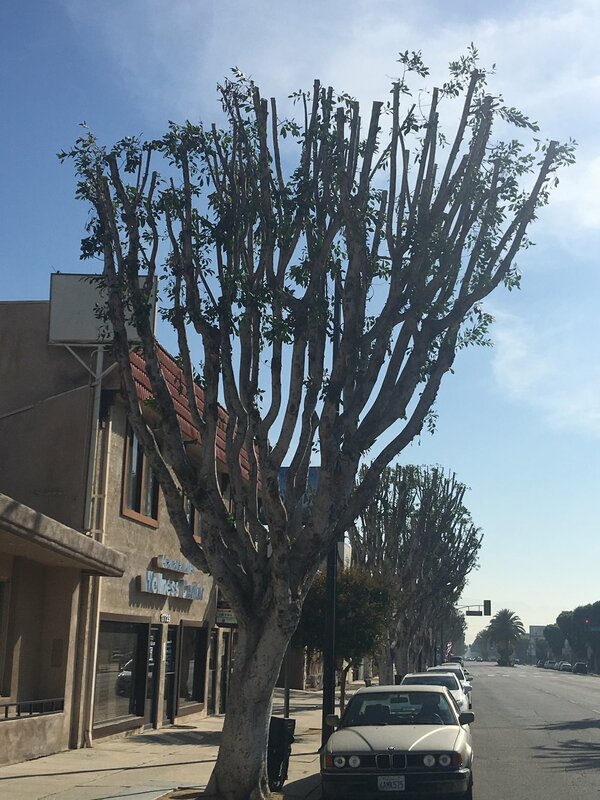 The City’s tree trimming cycle is approximately once every 17 years! Can you imagine what these trees would look like without this much needed service? The BID has chosen decorative litter receptacles to replace the wire mesh trash cans on Chatsworth Street. These charming receptacles will further the "brand" of Old Granada Village, enhance the aesthetics and serve a needed purpose. A win win!